Recently, the Advisory Committee on Immunization Practices (ACIP) met to discuss several important developments concerning vaccines. As you may be aware, this impartial group of experts advises the U.S. Centers for Disease Control and Prevention (CDC) on all matters related to vaccine recommendations. 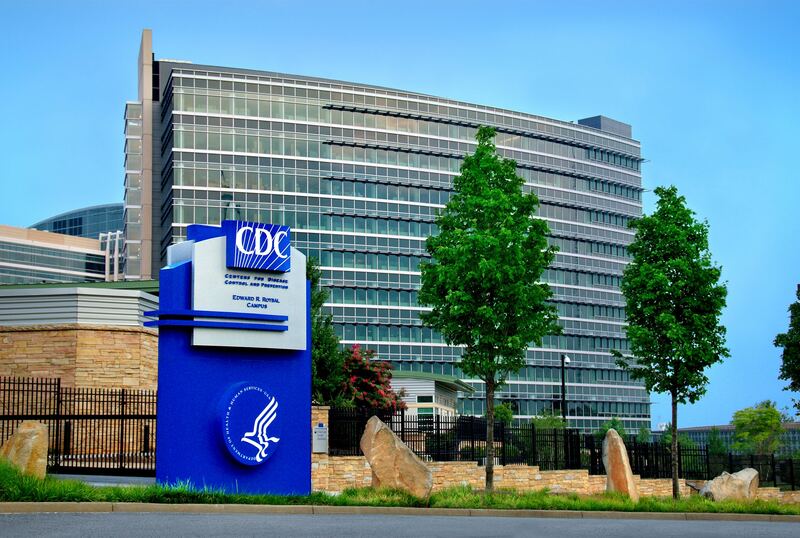 In the coming years, the ability of the CDC and public health departments to implement the recommendations of this group may be under threat from proposed provisions within the health care reform bills and congressional budget cuts. The activities of the ACIP are supported by staff at the CDC, which receives annual appropriations from the federal government to fulfill its duties. This federal immunization funding is at risk of being drastically cut if the Prevention and Public Health Fund (PPHF) is eliminated. (Click here to see a breakdown of the impact of the elimination of the PPHF funds by state.) If Congress follows the recommendation of the President, funding will be reduced by another 14% beginning in Fiscal Year (FY) 2018. Funding support for state, territory, and city immunization programs. An example of the critical activities conducted by the CDC includes support for the ACIP. This committee of experts from diverse fields such as vaccinology, immunology, pediatrics, internal medicine, nursing, family medicine, virology, public health, infectious diseases, andpreventive medicine meets three times a year to review and discuss vaccine research and scientific data related to vaccine effectiveness and safety, clinical trial results, outbreaks of vaccine-preventable disease or changes in vaccine supply. There are 15 voting members, 8 ex officio members who represent other federal agencies with responsibility for immunization programs in the United States, and 30 non-voting representatives of liaison organizations that bring related immunization expertise. All members volunteer their time and come from many leading professional and public organizations such as the American Academy of Pediatrics, the National Foundation for Infectious Diseases, and the American Geriatrics Society. This is the only meeting to gather such a comprehensive group of experts whose aim it is to protect individual and public health. The value of the ACIP can not be overstated. During their most recent committee meeting in June, members discussed several important issues recapped in the summary below. Cases, deaths and hospitalizations due to Hepatitis A are at an all time low. (Graph), with disease rates highest in middle-age adults. The vaccine is routinely recommended at age two, but has the lowest uptake of all routine vaccinations with only 60% of children 19-35 receiving the recommended two doses. The working group made several presentations and proposed adding language to the vaccine recommendation that pertains to a catch up vaccine in children 2-18. They also discussed aligning language that defines both Hepatitis A and Hepatitis B vaccine recommendations for those patients with chronic liver disease, who are more likely to suffer severe complications if infected. A statement with the updated recommendations is expected to be voted on during an upcoming meeting in Oct 2017 or Feb 2018. When it comes to influenza, the Committee reviews an extensive amount of data each year. At this meeting, the Committee received a coverage surveillance update, data on vaccine effectiveness and safety monitoring, and data pertaining to the use of Flublok vaccine in pregnancy. The CDC announced that there has been 130,000 flu cases reported during the 2016-17 season; 70% of which were attributed to influenza A (H3N2). This happened to be a rather prolonged season, lasting about 17 weeks as opposed to the more typical 13 weeks, with a national peak in mid-February and an earlier peak of late December-January for Western states. The season was defined as moderate, with influenza A being most prominent overall. However, there was a notable increase in influenza B later in the season, beginning in late March. Initial data indicates that the influenza vaccine reduced outpatient flu visits by 42% overall, and flu hospitalizations by 30% for all adults and 37% for those aged 65 and over. Vaccine effectiveness was reportedly higher in children at 63%. While LAIV/nasal spray (FluMist) was not recommended this past season, data showing vaccination coverage among children 6 months through 17 years of age indicated that this did not appear to impact overall flu vaccination coverage among children. The overall preliminary data for coverage among children suggests that 58% for this year, which is similar to last season’s coverage of 59%. Despite the coverage, there have been 101 pediatric deaths reported this season so far. The working group revised the flu vaccine recommendations for the 2017-2018 season and two votes were cast by the committee to approve them. The recommendations remain basically the same as in the past; flu vaccine is recommended for everyone 6 months of age and older, recombinant flu vaccine (Flublok) may be used in pregnancy, Afluria may be used in patients 5 years and older, and LAIV (FluMist) is still not recommended for use. The Vaccine For Children’s (VFC) flu recommendations were modified by adding a chart with alphabetized influenza vaccine products, methods of administration, and recommended age for use. Various presentations were made on the subject of shingles vaccines, to include a review of up to 8 years of research on Zostavax, a study of re-vaccination for certain individuals, as well as a review of the disease burdens and evaluating pain and morbidity outcomes. In evaluating the effectiveness of the varicella vaccination program, it was noted that varicella cases have steeply declined in all age groups since the introduction of the varicella vaccine. However, there is no causal link between the introduction of the varicella vaccine and the growth of herpes zoster cases since cases had been increasing prior to the 1996 introduction of the varicella vaccine. There were several presentations that explored the differences between the current live attenuated vaccine (Zostavax), currently recommended as one dose for adults age 60 and over, and a subunit protein vaccine (HZ/su) that is still undergoing FDA approval known as Shingrix. 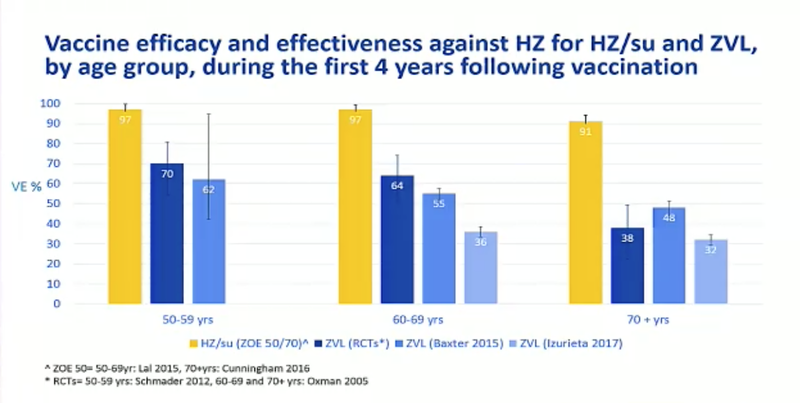 Based on clinical trials, the HZ/su vaccine is expected to be administered in 2 doses, one month apart. Though they’ve noted slightly more local reactions with this vaccine, the efficacy against shingles is 92% compared to just 51% for the current vaccine. There is also encouraging data that shows that a high level of protection is maintained at least 4 years post-vaccination, with data suggesting it could extend for as long as 9 years. Several presentations noted that the new vaccine, once approved, could potentially be more cost-effective than Zostavax due to its minimal waning and higher rate of vaccine effectiveness. Should the ACIP recommend the HZ/su vaccine for immunocompetent adults and if so should it be Category A or B recommendation? At what age should HZ/su recommendations start (it is expected to be licensed for age 50 and above)? Would a difference in efficacy justify the ACIP to recommend a preference for HZ/su over the current ZVL? Should the ACIP recommend that persons previously vaccinated with ZVL receive HZ/su to offer a better chance at protection as they age? There have been 100 million infections in the past year worldwide resulting in 20,000 deaths. The Committee is preparing for the potential submission of a new licensed vaccine for dengue. This would not be a vaccine for travelers, but rather for those individuals who live in endemic areas, which in the U.S. include Puerto Rico and the U.S. Virgin Islands. There was also a discussion and review of outbreaks in non-endemic areas in South Texas, South Florida and Hawaii. This vaccine is recommended for persons 9 months of age and older who are traveling to or living in areas at risk for Yellow Fever virus transmission. Due to a transition to a new manufacturing facility, there has been a reduced supply of yellow fever vaccine. To avoid a lapse in vaccine availability in the U.S. it was announced that the manufacturer, Sanofi Pasteur has received approval from FDA to import Stamaril yellow fever vaccine. Stamaril is produced by Sanofi Pasteur in France and has comparable safety and efficacy to YF-Vax. There are specific protocols that will be adhered to before clinics can offer this alternate vaccine, to include informing potential recipients of the special expanded access program that is offering the alternate vaccine. See the MMWR Addressing a Yellow Fever Vaccine Shortage — United States, 2016–2017 for further information for providers regarding yellow fever vaccine and this special expanded access program. 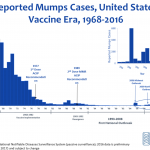 The Committee heard several different presentations on mumps that evaluated mumps epidemiology and studied the effect of a third dose on various populations. It was reported that there have been nearly 3,300 mumps cases in 2017 (about half the number of cases reported in 2016). There appears to be a number of factors contributing to the recent outbreaks, including vaccine effectiveness of two doses (estimated at 88%), waning immunity, (which doesn’t necessarily explain the nature of recent outbreaks where highest disease incidence was among people 18-22 years of age), antigenic differences between vaccine and non-vaccine strains, as well as several other possible factors. The most recent cases appear to be largely associated with outbreaks. 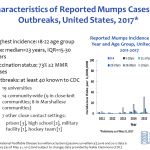 A presentation was made studying the effectiveness of a third dose of MMR vaccine following a mumps outbreak at a highly-vaccinated university setting in Iowa. 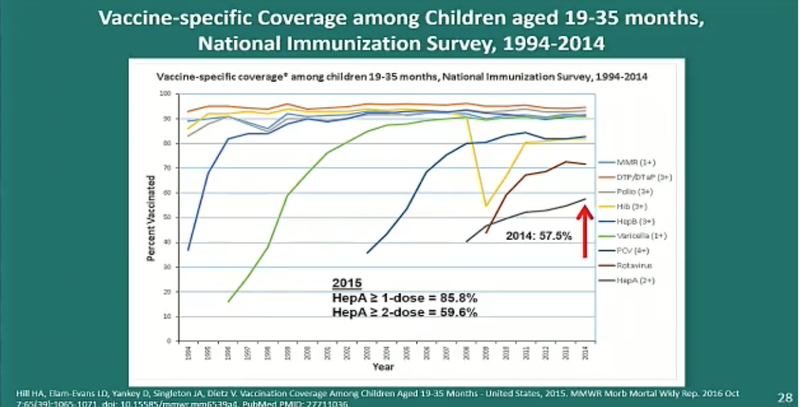 There was a 2 dose MMR requirement so they had high coverage, but then as a result of the outbreak students were offered a third dose (or second dose for those who hadn’t received it previously). It was concluded that the third dose was associated with a decreased incidence of mumps. However, other key factors such as the excellent response from the health department and high levels of MMR vaccination rates may have contributed to the outbreak control. There was quite a bit of discussion about whether there should be a routine recommendation for a third dose prior to children attending college and there are plans for future studies to be reviewed in order to gain knowledge about the costs of containing a mumps outbreak in a university setting, the cost of an additional third dose to prevent or control outbreaks, and more research into the genotype G strain. The intent is to determine the optimal use of the current MMR vaccine and discover if there are any programmatic implications for a possible third dose of MMR. The working group anticipates bringing a possible vote to the Committee in February of 2018, following a further discussion of the effectiveness of a third dose MMR vaccine in October 2017. The Committee discussed considerations for a MenB booster dose for groups at increased risk of serogroup B meningococcal disease. There was concern about the rapid decline in immunity in the first 12 months. Cases of serogroup B after vaccination have not been reported in persons at increased risk, except for patients taking the drug Eculizumab who are at a 1,000-2,000 time increased rate of incidence of meningococcal disease. The concern is that this specific drug may increase the risk of meningococcal disease however, the initial data does not show that the vaccine has been very effective at protecting these high risk patients and despite vaccination there appears to be breakthrough cases. The Committee plans to review additional data on antibody persistence and booster response among this specified group of people, and consider whether a booster recommendation is needed. 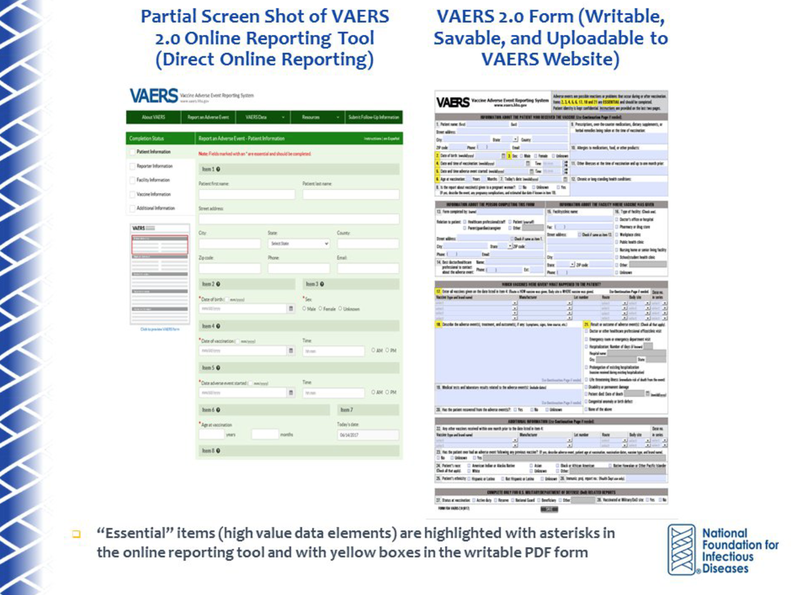 During the meeting it was announced that there will be a new VAERS reporting form with revised data elements and an updated process for submitting VAERS reports that includes an electronic data uploading tool and a reconfigured online reporting tool. There will still be accommodations made for those who are not able to report electronically. * Images are compliments of NFID. To view full presentation slides of their archived webinar covering all ACIP updates, click here. As one can surmise from this summary of the most recent ACIP deliberations, an enormous amount of research, committee work and deliberations are conducted for each vaccine recommended to U.S. citizens. This work is supported by the expert staff at the CDC. The next meeting of the ACIP will be in October 2017. For meeting information, as well as past agendas and presentations, visit the ACIP webpage here. To learn more about implementing ACIP recommendations, register to attend the NFID Fall 2017 Clinical Vaccinology Course on November 3-4, 2017 in Bethesda, MD. Early registration rates are valid until September 25, 2017. Register online at http://www.nfid.org/cvc.